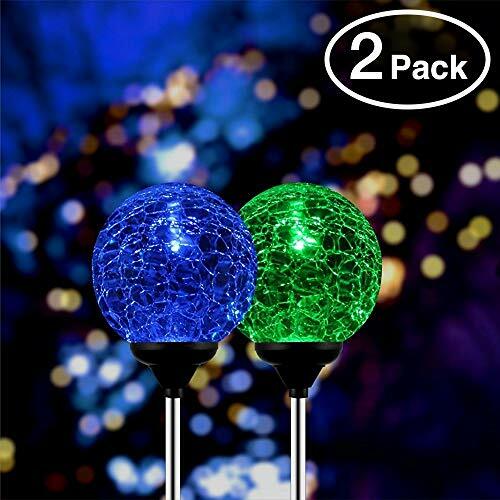 Featuring a heavy-duty metal stake that is easy to insert into soil, this Color Changing Solar glass ball light is a perfect decor light for gardens, lawns, patios or decks. It has a 8cm (3.15") diameter glass ball with a crackled finish. It also features solar panels which harness the sun's energy, and an on-board rechargeable battery which can provide 8 hours of illumination after a full charge. -Diameter of glass ball: 8cm/3.15"